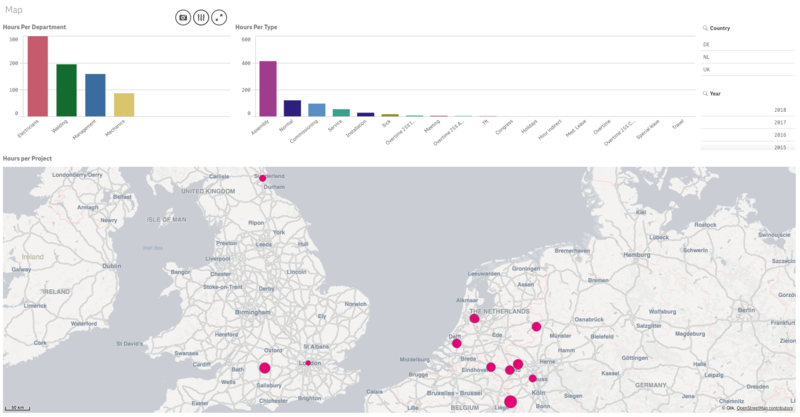 The KPI Designer Challenge aimed to pull together the most creative examples of KPI objects built using our latest Qlik Sense extension. 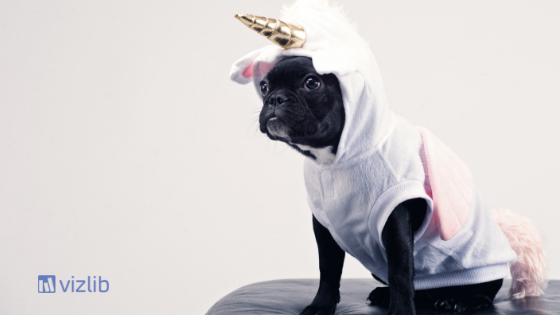 We have received some a-m-a-z-i-n-g entries that truly blew our socks away and selected these 11 KPI examples as top contenders. 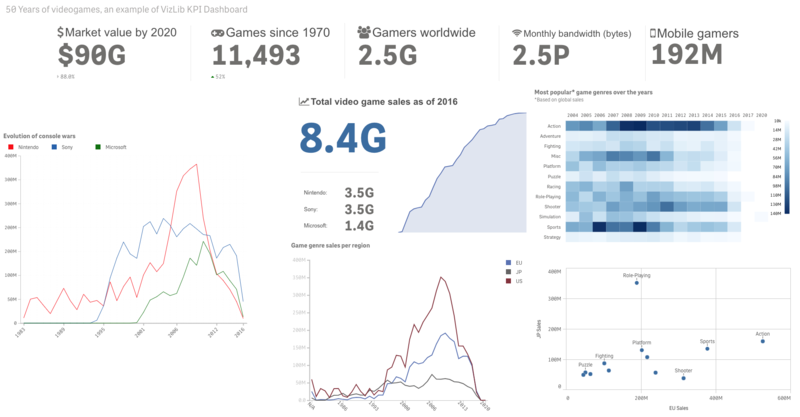 Many of the contestants have submitted examples of full-blown dashboards (awesome! ), but for the purpose of this challenge, we'll be looking at KPI objects only. 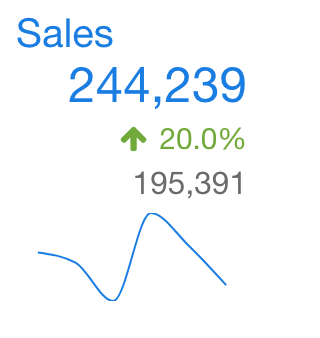 Remember, the winning entry will be introduced as a preset in our KPI Designer extension! 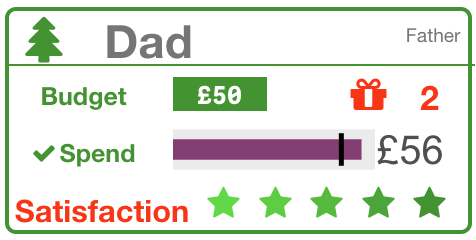 In the KPIs, he's used a colour border that highlights if he's finished buying for the person or not (green - yes, red - no). 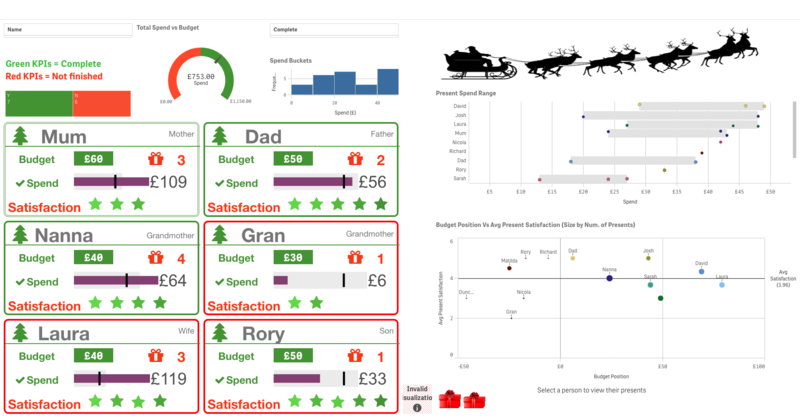 The body of the KPI shows the person's name and their relation, how many presents he's bought them, his budget for them, the actual spend (with the comparison) and a satisfaction rating for his buys (out of 5 - shown as a star rating). Download the Qlik Sense Example App Here. Frederik explains that the KPI is meant to be used as a comparison for the last closed quarter compared with the quarter before that. 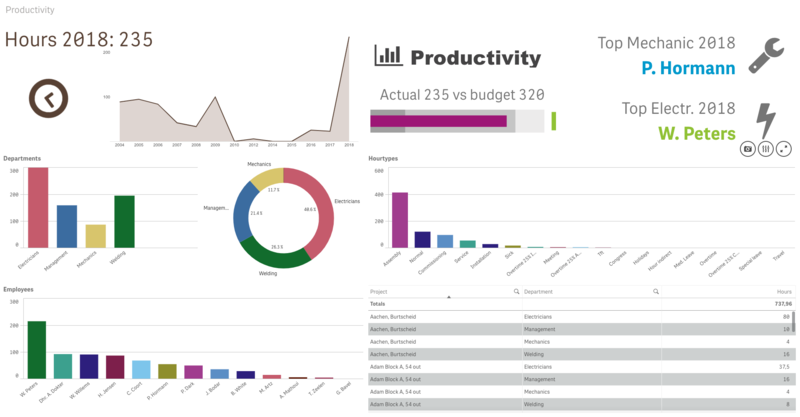 Achraf's dashboard includes a simple and clean KPI header built in order to give a clear view of major Indicators, which can be used for linking to other sheets (on click). 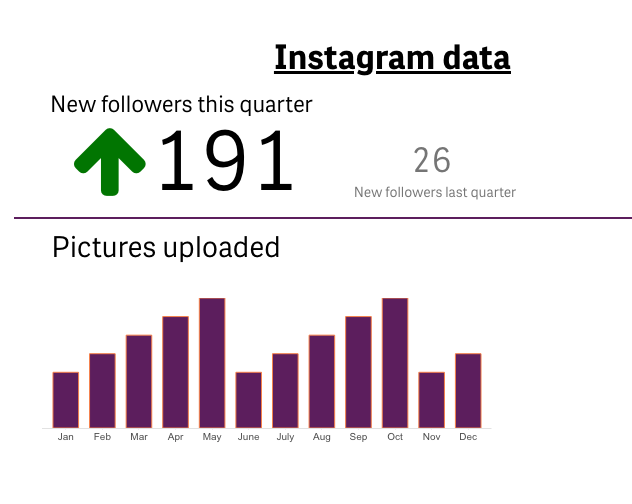 Additionally, a KPI card to showcase global Indicator and its subcategory values with a trend line. Anubhav has implemented 34 layers to bring out the report in the best presentable form, capturing all the relevant information. He says the thought process behind the selection and placement of the different layers was to convey a 360-degree view of any sales business to any viewer. Full disclosure: Gregorsz works at Vizlib and we love his quirkiness. Don't worry, there won't be any favouritism, it's the public's vote that counts. Keith draws on the data from the United States Consumer Finance Protection Bureau (CFPB): Consumer Complaint Database. In his submission, Keith aims to create a newspaper or magazine worthy “infographic” (using one KPI Designer object, re-sized to take up the entire sheet) that summarizes the information at a very high level, focusing on a few key statistics that the average person would find interesting. 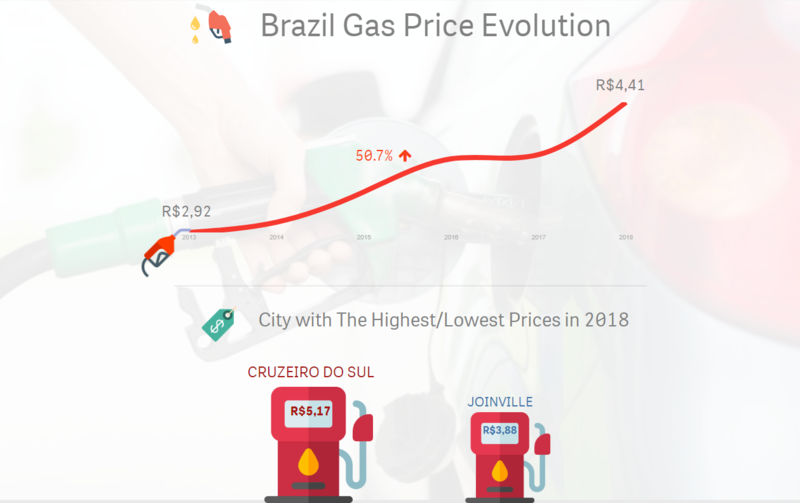 Brazil's Gas Price Evolution visualisation submitted by Paolo shows the Brazilian scenario of gas prices since 2013. 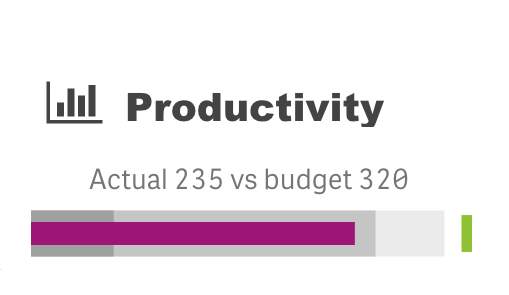 Metti submitted several different KPI examples, but we chose to enter the finance KPI design in a Matrix theme (because it's awesome :). Fred chose to separate all Qlik Objects, making sure the Vizlib KPI object is shown as a coherent whole. The Mouse-Over creates a VizLib-Blue 😊 border, ensuring that it clearly shows which object you are talking about during a presentation. 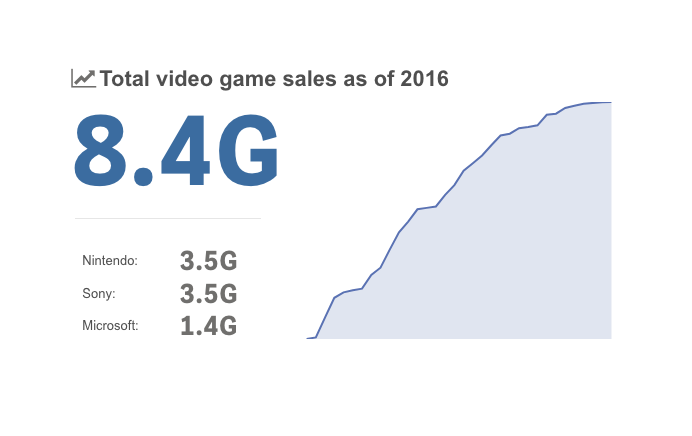 Piers focused on creating a KPI object that provides high-level sales data and scales beautifully to different devices. 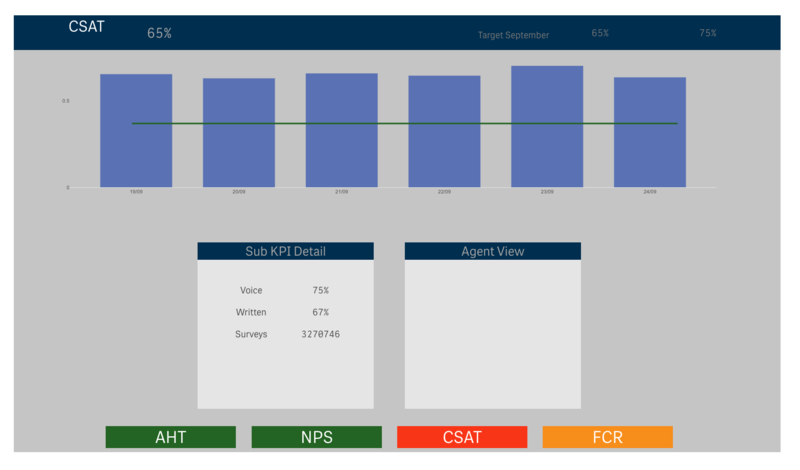 Webhelp set out to show the ability of a configurable display across multiple KPIs within a single KPI Designer object, providing a cleaner output and a much less busy interface for the end user. The display contains 4 KPI buttons with actions that allow the rest of the display objects to convert between the KPI values. 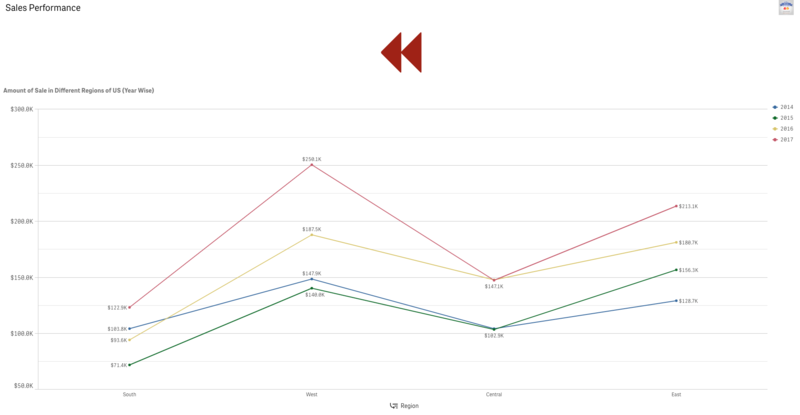 It can handle different value formatting and has the ability to show/hide objects dynamically across the KPIs.